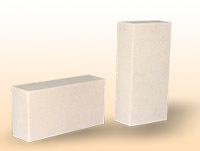 Mullite Heat-insuiation Brick is made with domestic newest energy-efficient fire proof material by using advanced technologies introduced from abroad. It can also used on fire direly. It has the strengths of hert-resistance, high intensity, low heat-conduction coeffcient and remarkable energy-saving effects. It can be use in petroleum partition kiln, metallurgical hot stove, ceramic kiln tunnel kiln and as linings of many electric stoves.